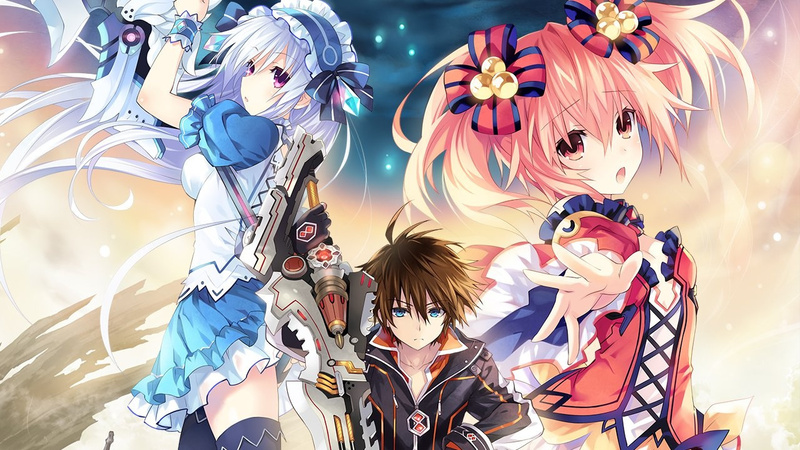 Fairy Fencer F: Advent Dark Force is headed to the Nintendo Switch in "fall 2018", it has been announced. 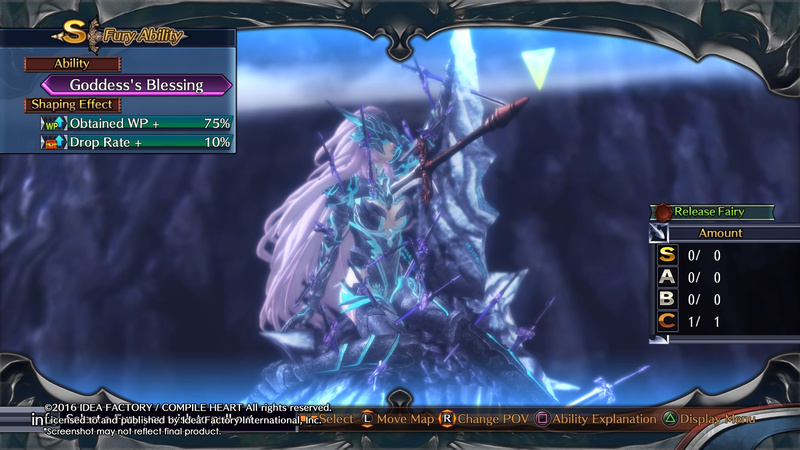 Published by Ghostlight Interactive in Europe and Idea Factory International in the US, this upcoming Switch edition is a port of the PS4 expanded version which released in 2016; the original game - simply titled Fairy Fencer F - was originally released for the PS3 back in 2013. The game is a fantasy RPG which received mixed-to-positive reviews on its initial release, with this expanded version scoring higher among critics than the original. The story takes place in a land filled with power-imbued weapons known as Furies; the Fencers who wield them are locked in combat to collect as many Furies as possible. The unassuming hero, Fang, finds himself caught up in their struggle when he pulls a sword from a stone. 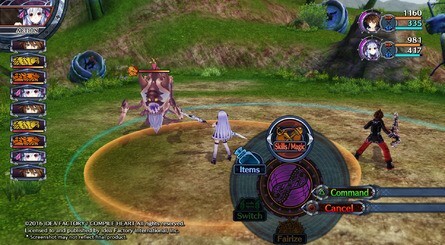 Players can manage up to six characters on the battlefield, all part of a revolving cast of party members, and even the world is customisable, too. Here's a list of the game's features and a selection of screenshots. We should note that these screenshots are actually from the PlayStation 4 version - Switch screens have not been shared at present. - Three Stories, Three Paths! In the three stories to play – the Goddess story, the Vile God story, and the Evil Goddess story – friends become foes, foes become friends, and based on your choices, multiple endings can be unlocked! - Three Ways to Fight and Fairize! Play in Easy, Normal, or Hard mode and switch the difficulty up whenever you want to balance the game to your play style! - Three’s a Crowd, Six is a Party! With up to six party members on the battlefield at a time, you can play as all your favorite Fencers! - Shape the World Around You! 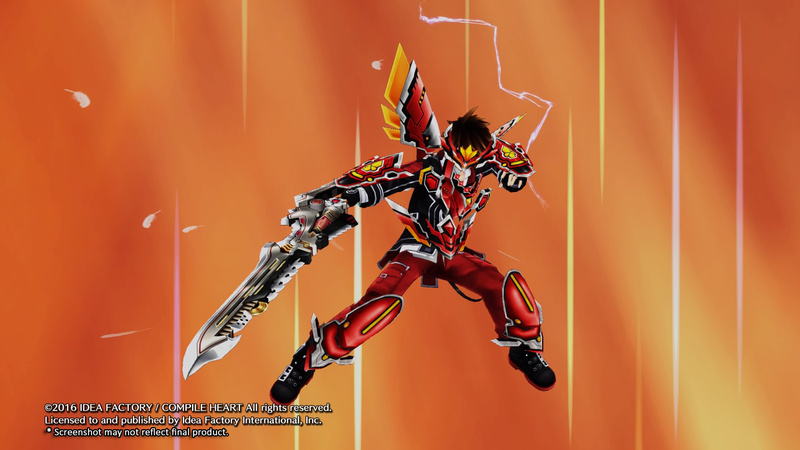 Customize weapons by fusing them with fairies and change dungeons stats through world-shaping. Even power up Fencers through the fairies’ power to transform, or fairize, during battle and change your world! The game will be available digitally for $39.99 / £29.99 / €34.99 and is set to include all 25 DLC add-ons available in the original PS4 release. 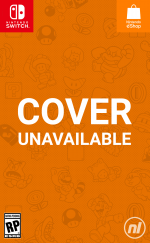 Will this one be going on your Switch radar? Not to be a negative nancy but in my experience Compile Heart JRPGs are pretty much bottom of the barrel for the genre. Shallow gameplay with a much larger focus on just being fan service. @Expa0 Well we have quality RPG's already, nothing wrong with some occasional fan-service. I don't know that I've even heard of this game before now. I'll be adding it to my 'later' list. Getting overwhelmed with RPGs on Switch here (not a bad problem to have). This is actually a really fun JRPG. But after buying the original on PS3 and this version on PS4, I'm not going to dip again. I have heard good things about this game. Geez, there are too many games to complete. It is going on my hit list I should be ready to purchase by February. @Expa0 @bluemujika Personally found this one to be pretty decent. 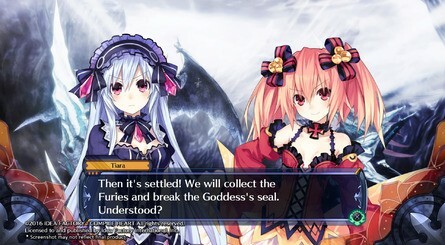 The Hyperdimension (or whatever its called nowadays) is the series on decline. Though considering you can often find this for a few quid on Steam, it'll be a hard sell on Switch. Already have it for the PS4 so I won’t be double dipping. I already have enough games I want. Got it for $5 on a Steam sale. It was ok, but never finished it. A bit thin in every department. Not really a game you buy again. This doesn't look too bad... it might be worth a look for me if on sales or if I can find it 2nd hand cheap. Of course I ALWAYS says that. One more reason to buy a Switch in 2018, rather late 2019 with Fire Emblem, Final Fantasy and Shin Megami Tensei V.
Give me all the weeb games! Is it true that every proper noun in this game starts with F? Put me down for one copy. These are the types of games I would have been buying on other consoles if I hadn't utterly lost all interest in playing games on other consoles the minute Switch released. Pretty much. I looked into this initially, and was disappointed. I don't like that they use the graphic novel style cut scenes instead of using in game rendered graphics scenes. It just seems excessively lazy to me. I won't be picking this up. As one of the people responsible for this game’s release in Europe, I can confirm that it’s releasing in January 2019.